Man, Woman, Child or beast I would say. Wouldn't you? Never a truer word has been spoken by so many. Penned by the writer Dr Samuel Johnson in 1777. Incredible. I have often said this and its now 2015 - nearly 240 years later and it still reigns true. Here is his wonderful quote in all its glory. My youngest received this gorgeous wooden red bus on the day he was born. Little did he know it was really for me. He received the matching taxi by the time he was 2 - again for me! Sadly, I had to let him play with it and not treat it as an ornament. They now have signs of good use - chunks and chips off the wood and paint work! Why am I going on about London pray tell? Well, I'm entering into a fabulous competition with Tots100. Its to WIN a 2 night break in a 5 STAR Hotel and not any old 5 Star hotel The Royal Garden Hotel in Kensington. Location is everything and this is just perfect for any family stay. Not all hotels are family friendly believe me but this one certainly is. It is also located on the edge of Kensington Gardens - idea for families. What's more its a great local to visit the Natural History Museum more of which later. I don't have much luck with competitions but you have to be in it to win so says Dale Winton. I am a London Gal even though I was born and bred in Crawley - not so glamorous granted. However, I got out of that town when I was young pup at aged 18 and have been lucky enough to live South of the river since then. Which means it takes us about an hour to get into central London. 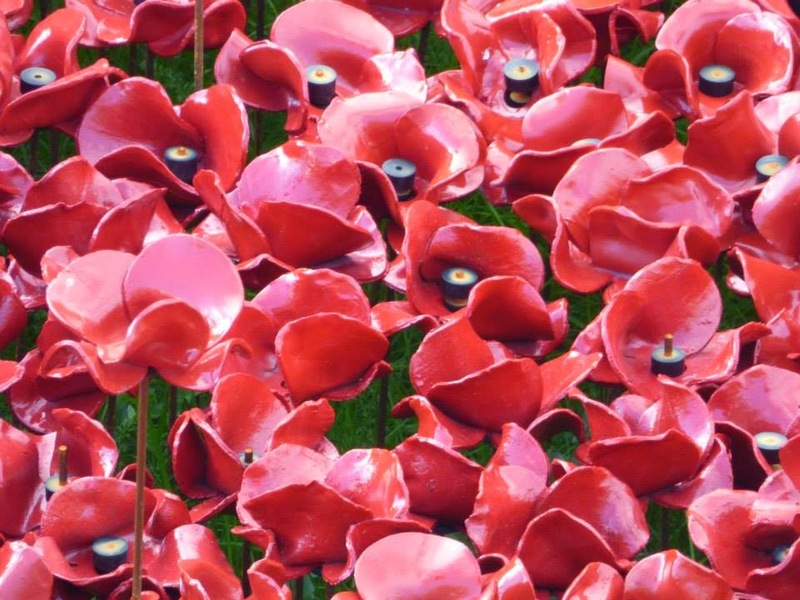 We have been a few times with the children and seen the poppies at the Tower, taken a boat trip up to Greenwich, sampled the sights and sounds of Covent Garden (an absolute must at Christmas time), Trafalgar Square and Leicester Square. I want my children to get the same rush of excitement and world of possibility when I step off the train at London Bridge or Victoria. We've also visited the Tate Britain, Tate Modern, Imperial War Museum and so much more. However, we've never trotted over to West London to see all the delights that are on offer there. Which is why I thought this competition was perfect. 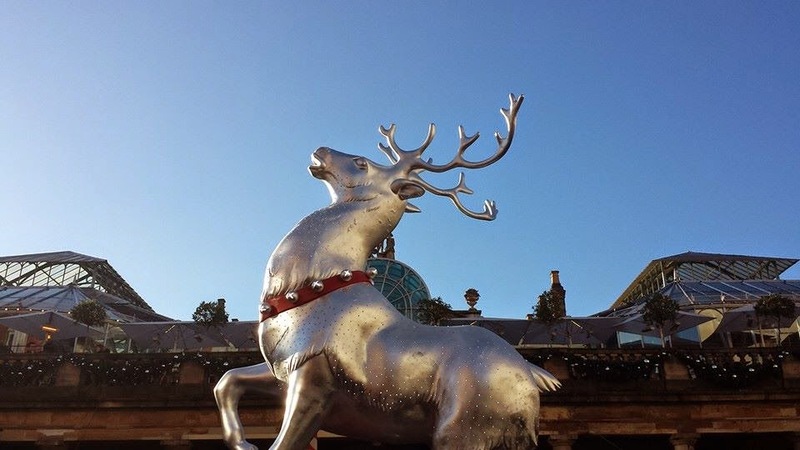 A chance to roam free in Hyde Park and see the many wonderful statues. 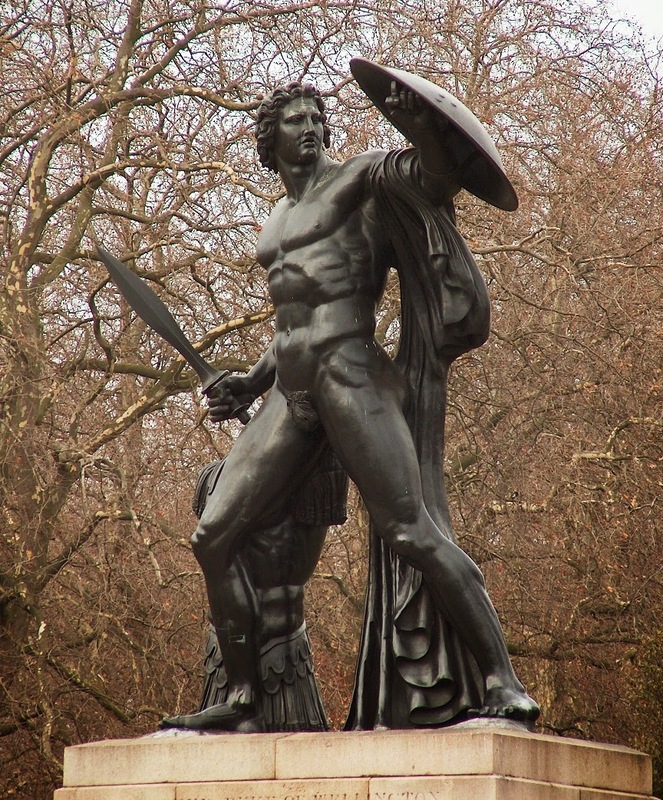 Our youngest is a HUGE Marvel Super Hero fan - how could he not be impressed with old Achilles here? A fine figure of a man! 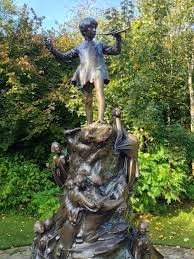 And my daughter would love this statue of Peter Pan also in Hyde Park. Of course, visiting the Natural History Museum has been on my must see lists for quite some time as we have NEVER been. We must go before they move the huge dinosaur in the main hall in favour of a whale I do believe. Whenever I think of this museum (and those of you who were born in the 70s will surely be nodding their heads - If you aren't we can't be friends. Sorry.) 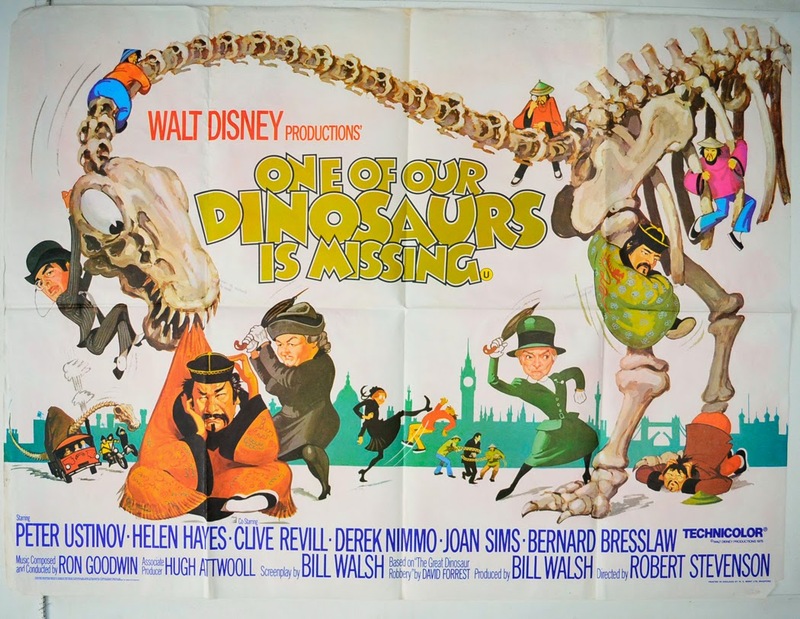 I think of that classic Disney film - One Of Our Dinosaurs is Missing. In fact I may have to take the DVD for the evening to enjoy in the 5 STAR HOTEL. Oh did I mention that? I just happened to take a glance in my living room and came across my most treasured coffee table book above. I often stroke it whilst flicking the pages. And then there's some subtle and not so subtle Iconic British images that have crept in without my husband noticing. I do love a cushion it has to be said. So competition pickers. Pick us! 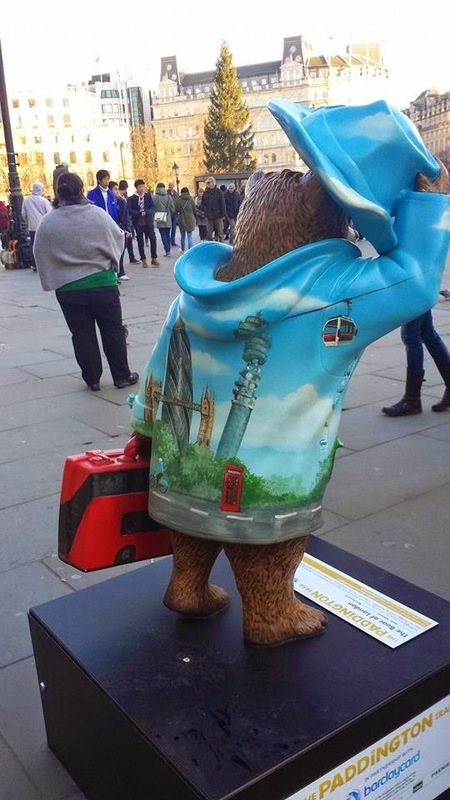 We Love London and we'd love to stay in Kensington and tick off our most visit on our London bucket list. I have entered a competition with Tots 100 so please pray for me as I never win any competitions as I don't normally enter them (does help). But I really would LOVE to win this one! It Will Make You Big And Strong!